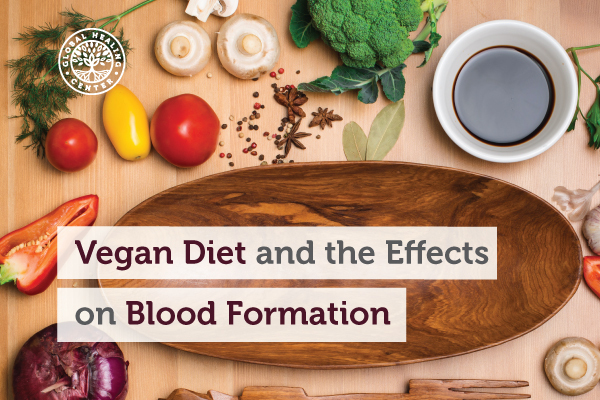 Vegans follow one of the healthiest diets out there, but poor planning could have a negative effect on blood formation. 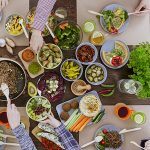 Since many would argue blood is one of the most important things in the body, it’s crucial that you keep everything running smoothly while maintaining your vegan lifestyle. 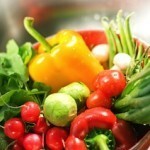 Avoiding toxins, for example, could be helpful for protecting blood formation, as could getting enough B vitamins. Proper blood formation is essential for good health, and without quality nutrition, this natural process can suffer. Here are four supplements you should consider taking if you’re vegan or if you’re concerned about blood formation. B6 is a water-soluble vitamin that your body can’t store, so it’s very important to get enough each day. 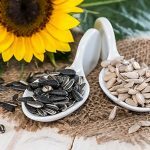 Many vegan-friendly food sources are limited in this vitamin, so supplementation could be crucial. B6 plays a role in just about all bodily functions — including blood formation. The vitamin helps produce hemoglobin that transports oxygen in red blood cells (or erythrocytes) throughout the body’s tissues, and a deficiency could easily lead to anemia. Iron is just one factor responsible for red blood cell production. Too little iron can lead to not enough red blood cells or cells that are much too small to function normally. So, if you aren’t getting enough iron, you could easily become anemic. There are two types of iron the body uses – heme and non-heme iron. Heme is the type found in animal sources, and non-heme iron is found primarily in plants. Unfortunately, the plant-based iron is more difficult to absorb by the body. But that doesn’t mean all vegans are anemic. Yes, low iron stores in the body could occur due to diet, but, most likely, this just means vegans should increase their daily iron intake. Sometimes it’s difficult to get all the vitamins and minerals you need from the food you eat. After all, it was once believed B6 deficiency was fairly rare. A recent large-scale study actually suggests the deficiency is commonplace in the United States, and many people don’t even realize it. If your diet isn't well balanced or it isn't consistent, it's a good idea to take a supplement to help fill the gaps. 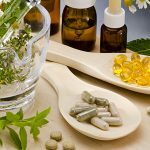 In addition to the standard enzymes, probiotics, and the like, there are a few supplements that vegans especially need to know about. What do you so to ensure healthy blood formation? Tell us about it in the comments! Ward, E. "Addressing nutritional gaps with multivitamin and mineral supplements." Nutrition Journal. 13 (72). Aslinia, F. et al. "Megaloblastic Anemia and Other Causes of Macrocytosis." Clinical Medicine & Research. 4 (3). Pitkin, R. M. "Folate and neural tube defects." American Journal of Clinical Nutrition. 85 (1). Morris, M. S. et al. "Plasma pyridoxal 5'-phosphate in the US population: the National Health and Nutrition Examination Survey, 2003-2004." American Journal of Clinical Nutrition. 87 (5).